Founded in 2003 as a sole proprietorship, today’s Finance Media GmbH supports you with targeted advertising opportunities. As the widest-selling financial website marketer, we offer advertisers and media planning clients a comprehensive portfolio of websites, a very attractive reach in a first-class audience, and a highly motivated team. to achieve their goals. Place your products and services successfully – we support you. From A like Advertising to Z like satisfaction. 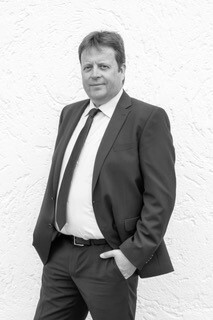 Certified investment and financial advisor and MBA (University of Wales) with 24 years’ professional experience in the financial sector – with positions ranging from asset managers to managing directors and board members to supervisory board members – and sound experience in stock exchange and investment, managing publishers and establishing financial portals. As a marketer and service provider for other marketers, Stefan Hoffmann has been a sought-after specialist for over 15 years when it comes to the efficient marketing of online advertising space in the financial environment, the media planning for well-known brands or cooperation management.